How long does alimony last? Is the rule different on short versus long marriages? Please read this article to learn more. We hope you enjoy this article. Alimony’s duration can keep husbands and wives who anticipate going through a divorce up at night. How long alimony lasts affects financial security and financial planning. After all, for the spouse who pays alimony and the one who receives it, alimony affects income, expenses and our standard of living. The article only addresses California divorces and no other State. We hope you enjoy this article. How long does alimony last in a short marriage? Most people believe there is a line that divides a short marriage from a long term one. That is partially true but that issue is not black and white. A marriage of under 10 years may under some circumstances be considered a long-term marriage. A marriage of over 10 years can also be treated like a short marriage. For the purposes of this article, let us keep it simple. Let us assume we have a five-year marriage and neither spouse suffers from any disability. In a typical short-term marriage, alimony lasts one half the duration of the marriage. So, in a five-year marriage, alimony may be as long as 2 1/2 years. Does that mean alimony will last 2 1/2 years in every five year marriage? No. The length of the marriage is only one consideration in the duration of alimony. It is not the only consideration. How long does alimony last in a marriage of over 10 years? Let us assume there is a 20 year marriage and there is no question the marriage will be treated as a long-term one. In such a situation, alimony will typically last without a specific termination date. What that means is the court may order alimony until death of either spouse, remarriage of the spouse who receives alimony or further order of the court, whichever occurs first. That language “further order of the court” is what keeps alimony continuing. This is also where a lot of confusion starts. Spouses assume such an order can never change. That is not true. Unless spouses agreed to a court order that made alimony unmodifiable, alimony is typically modifiable. So even in a 20 year marriage, alimony may be modified at a future date. That modification may be a downward modification, termination of alimony or, under some circumstances, upward modification. How long does alimony last if the marriage minimally passed the ten-year mark? This happens in ten or eleven year marriages although one can make the same argument in a twelve or thirteen year marriage. Once again, there is no black and white rule. Alimony in such cases may be similar to a 20 year marriage or may be cut off at the halfway duration of the marriage. The facts of the individual case control. Can spouses agree to terminate alimony in a long-term marriage? Yes, spouses have the power to stipulate (just a fancy word for “agree”) for the court to terminate alimony in a long-term marriage. This is also true in a short term marriage. Whether that is advisable or not of course no article can answer. That also depends on the facts of the case and legal advice is critical. 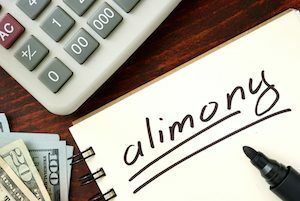 How long does alimony last if neither spouse wants alimony right now? Spouses will sometimes agree to a zero alimony order or a “reserved” alimony order whereby alimony may not be justified now but neither spouse wants to terminate alimony either. A common situation for this is when both spouses earn approximately the same or similar amount and neither has the need or ability to pay the other alimony. Spouses should be careful not to terminate alimony just because both of them do not need it now. Nobody can predict the future. Life is not predictable. Loss of job, illness or serious disability may occur. Got questions about your case and how long alimony should last in your situation? Our family law firm is highly experienced in handling divorces and post-judgment matters that involve alimony disputes, on behalf of the spouse who pays and the spouse who receives alimony. Want to chat? Schedule an affordable strategy session with us. We handle family law matters in each of the seven Southern California counties. To learn more about this subject, check out our guide on alimony in California. This article is not legal advice and is not intended to apply to your specific situation. I Want a Divorce But My Husband Doesn’t. What Can I Do?